Shakes is a licensed non-profit medical cannabis delivery, founded by a group of members with considerable expertise in the industry. The company�s team is strongly committed to busting the myths about marijuana�s adverse effects and proving its healing properties. They believe medical cannabis can play a significant role in healing people and improving their physical and mental health. Therefore, by creating a positive public image of mmj, they want to contribute not only to their local community but also to the whole world. Shakes is proud to offer only premium-quality strains, concentrates and edibles � all products and ingredients are organically grown and tested for pesticides and other harmful chemicals. The selection is constantly extending � it's worth checking what's new when you order next time. 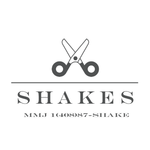 Boasting of upscale service, Shakes guarantees that your delivery will arrive safely and promptly � clients� comfort is the top priority here.